Graceful arched windows in the western face of the Hazelwood building have captivated Portlanders for nearly a century. Moving through the gateway to North Portland from Downtown, it takes an act of will to focus on the road, resisting daydreams about all that might have transpired inside. The iconic Hazelwood building was built by Portland architect A.E. Doyle in 1923, the triangular building just touching the new garage that sat at the southern edge of the lot. 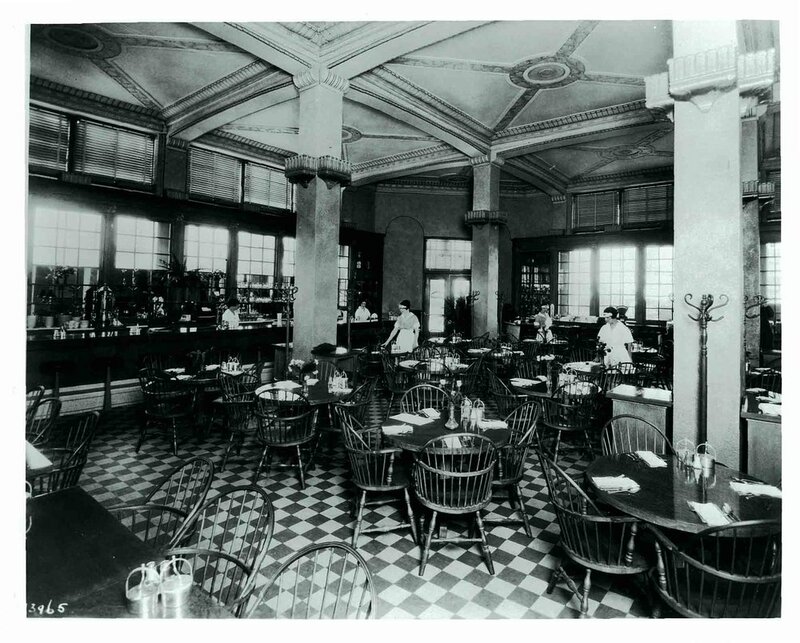 The Hazelwood first housed a fashionable restaurant with a bakery, creamery and confectionary above. MultiCraft’s occupancy brings the building’s story into the memory of most Portlanders. Following a few years of vacancy when MultiCraft moved, a young developer was drawn to the building. While years of deferred maintenance and a neighborhood sliced up by freeway ramps presented obvious challenges, the building’s rich history as a center of industry and culture, and its location at this energetic hub were calling. With the promise of healing a once vibrant place he drew in a handful of visionaries, and together they conceived of the Leftbank Project. Today, the gathering Leftbank community writes the next chapter.